Ladies and gentlemen… this is BOXER! Hands down, the ultimate DOS treatment. The front-end to bind them all. 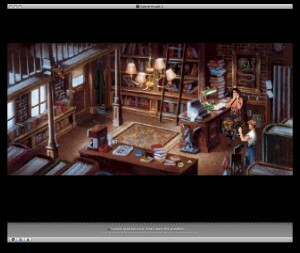 In case you haven’t realized, Boxer is a wrapper for DOSBox that integrates so well, so beautifully, that I’m tempted to say it’s a whole different application. It went from being a humble but complex script to a full-fledged Objective-C app. 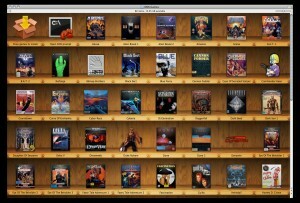 What makes Boxer so good is that – true to the Mac spirit – it doesn’t get in the way. It barely has an interface which will probably have you thinking just what the heck is the purpose behind this thing. And those were my thoughts precisely as I tried to understand what was the benefit of this app until I gave it a whirl… The simplicity but power of Boxer does not come into evidence until you use it to install your collection of DOS oldies. Think of it as a packager of sorts that integrates with the Finder (the equivalent to Windows Explorer) with a whole lot of neat features under the hood. As you know, installing DOS games has always been a chore — then and now. Long gone are the days of disk swapping, IRQ configuration, trying with INSTALL.EXE then SETUP.EXE and finally some strange .BAT file… I still mourn for those days, mind you. Fighting with all that stuff and, even worse, conventional memory could make you a stronger person. 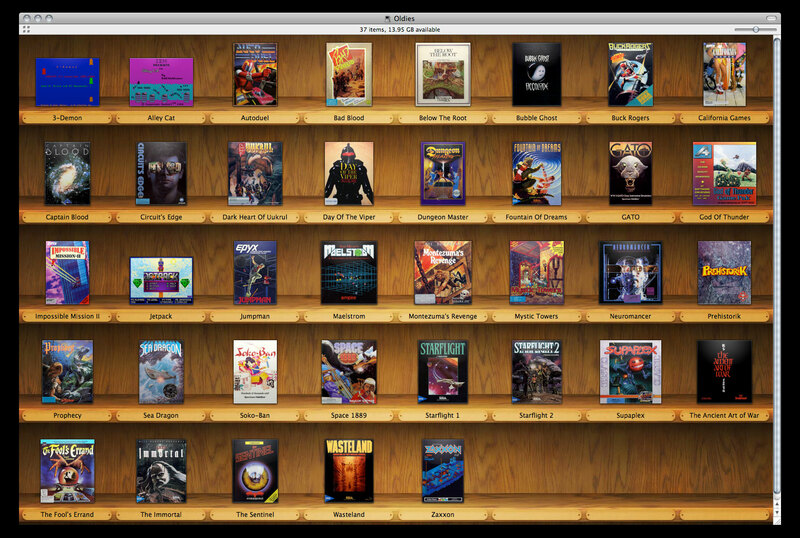 Anyway, DOSBox already saved us quite a few headaches with its superb DOS emulation and Boxer is here to make installing and storing games a whole lot easier. 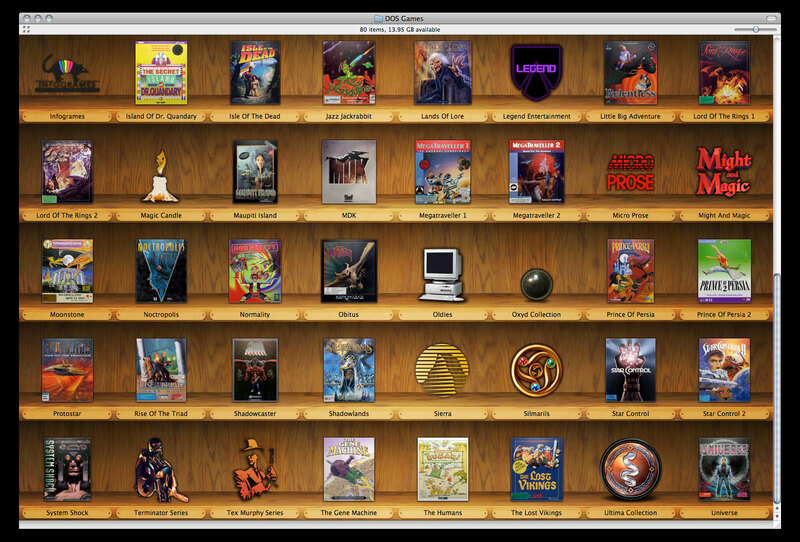 If you look at the attached screenshots, you’ll see that I may have over a hundred DOS games installed and ready to run. I can honestly say that installing 90% of all these games was nearly automatic and fast. Boxer will execute for you the right installer (to my surprise, even when there are many executables available) and, as soon as the installation is finished, create a package or “box” for the DOS game. This box in reality acts as a C drive for DOSBox so every game not only has its own configuration but also its very own DOS environment. It’s the perfect and most logical solution. And even if you are installing from a CD, Boxer will also ask you if you want to copy the entire disc. More so, you are always free to browse inside the boxes and tweak them however you see fit. 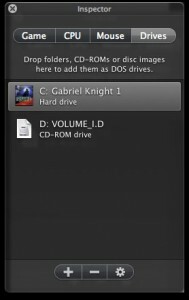 One of the very best features that has saved me much time is the possibility to copy discs yourself (ISO and BIN format are supported) and have Boxer mount them automatically. Really, installing DOS games has never been this easy. 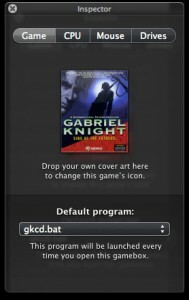 There are even more goodies that become apparent when you launch a game. Like I said before, Boxer has come a long way and now provides a neat GUI to configure games more easily. 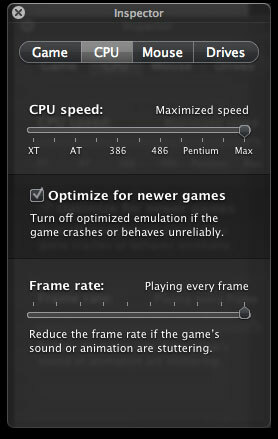 Besides a Preferences dialog from which you can setup the graphics filtering, aspect ratio and toggle fullscreen mode, you have a handy inspector that allows you to configure at runtime per-game settings. 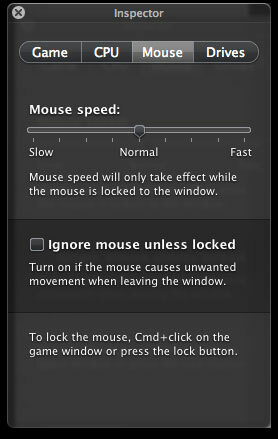 Here you can choose the startup program to execute, add an icon to the box, tweak CPU settings, mouse behavior and mount/unmount drives. Remember, at runtime. 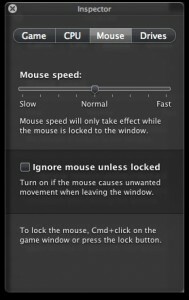 If you ever had to waste valuable minutes configuring DOSBox, I’m sure you’ll come to appreciate all these features. And this article is just barely scratching the surface. Again, it’s only after using Boxer for a while that one comes to understand what a clean and powerful solution it is. It has literally changed the way I view old DOS titles because I feel like they are so more accessible now. 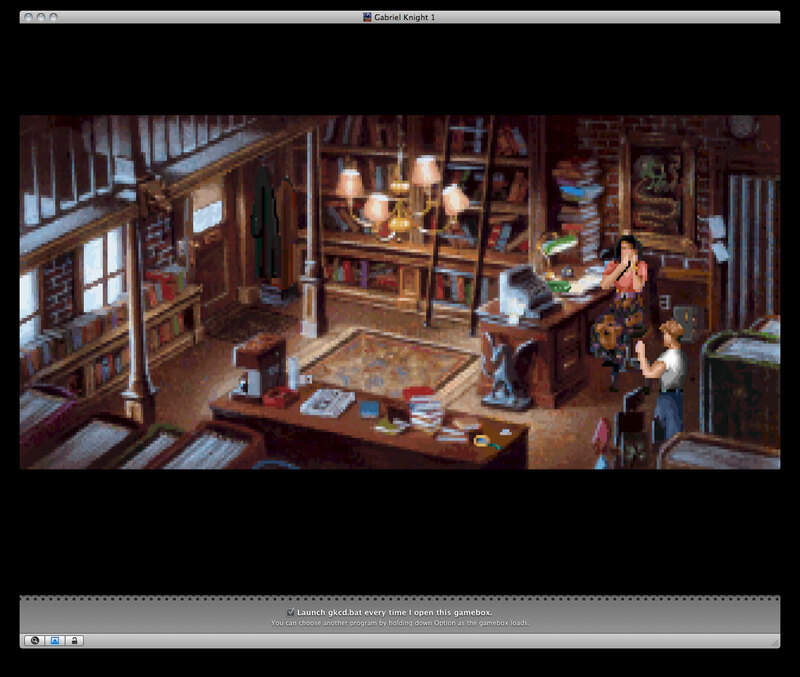 I’ve never really fancied front-ends because it seemed to me like they didn’t fully expand on the original idea of the application they supported and rather caused hassle more than anything else, but Boxer feels like the natural extension of DOSBox. 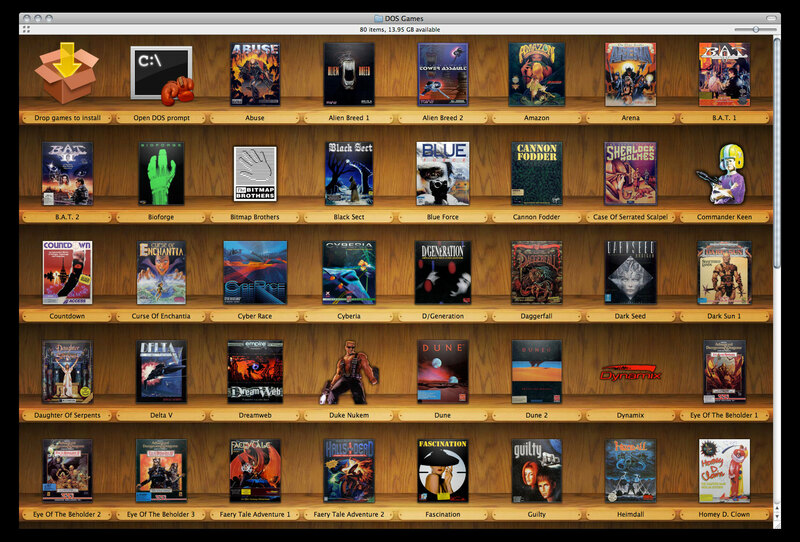 This is all the work of a single man – Alun Bestor – who is working very hard to bring us a fresh new beta of Boxer. Keep in mind that some of the features I mentioned here are still in alpha and the installation options are present in former builds of the app. Fortunately, the long-awaited beta is just around the corner and I’m sure it will be fantastic. Now please, someone do the same for Amiga emulation. And please, do port this thing to the PC. DOS after all belongs to us. We had to bloody endure it for ages. 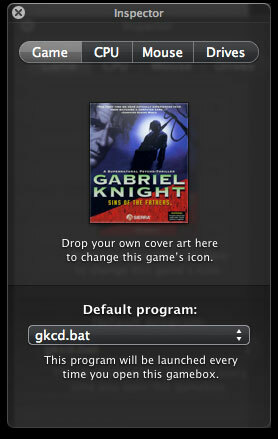 Hell, yes, something like that for Amiga, I would actually pay for it. 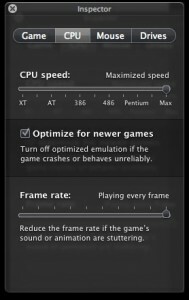 Porting sounds very unlikely – someone should rather write an application like it from scratch.